Learn basic shapes and colours with the beautiful Goki World of Shapes Wooden Puzzles. 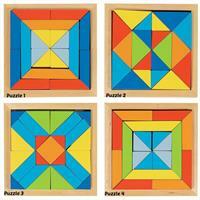 Each wooden puzzle is encased in a wooden tray for neat packing up and contains between 20 and 25 blocks, all brightly coloured to mix and match. 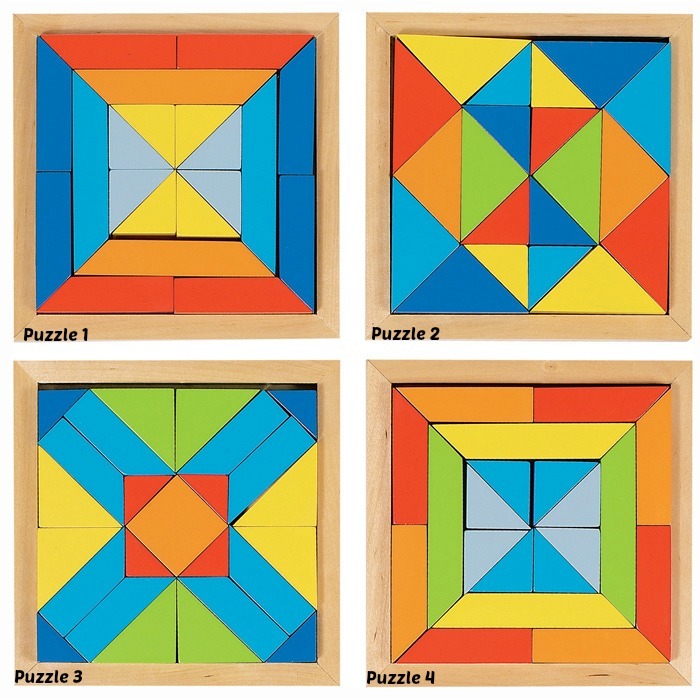 There are 4 different puzzles and are sold individually. Great fun for creating patterns, constructing towers and developing fine motor skills.